Meet Gloria. She is in seventh grade and transferred to Daylight one year ago. Gloria grew up in a nearby town, and an area chief (liaison between police and community) nominated her for enrollment at Daylight. Her father passed away a few years ago, and her mother could no longer afford the fees to send Gloria to a public school. Gloria stays in the girls dormitory at Daylight during the week and visits her mother and siblings at home a few towns away on weekends. If it had not been for Daylight, Gloria would have had to quit school, and likely be married off at a young age. It is with your support that Gloria and other children like her have been given the opportunity for a better future, and empowered to become leaders in their community. This is week two of our 2015 Pledge Drive. Already we have 19 of 100 total pledgers needed to reach our $137,000 budget goal for 2015. Please join our pledge drive or renew your pledge today. In 2014, our budget was $96,000. The reason Daylight’s budget has increased for 2015 is because Daylight continues to grow. Today at Daylight, we have 280 students in preschool through 7th grade as well as 100 more children at our rural outpost nursery school! In 2015, we expect enrollment to increase to 320 students in preschool through 8th grade (since we add a grade each year), in addition to the 100 rural nursery students. In order to provide education, food, shelter, clothing, and health care to these children, we need your help! We believe that if we had 100 pledgers of various giving levels, we can reach the $137,000 budget goal. Will you join our pledge drive for 2015? Joshua Kimpur home and on the mend! Thanks to everyone who prayed, sent encouraging emails, and called us to see how Joshua is doing. We have great news. Joshua is home and slowly getting his strength back. It was a very scary weekend for Angelina and Michael. The hospitals in Kenya are often overwhelmed with so many emergency cases (their hospitals are often similiar to American Emergency Room wings). Joshua and Angelina in the hospital. But after much waiting and praying Angelina and Michael were told that Joshua’s fever had broken and he was free to go home. Thank you so much for your support. Joshua is clearly feeling better, but wants you to keep praying! 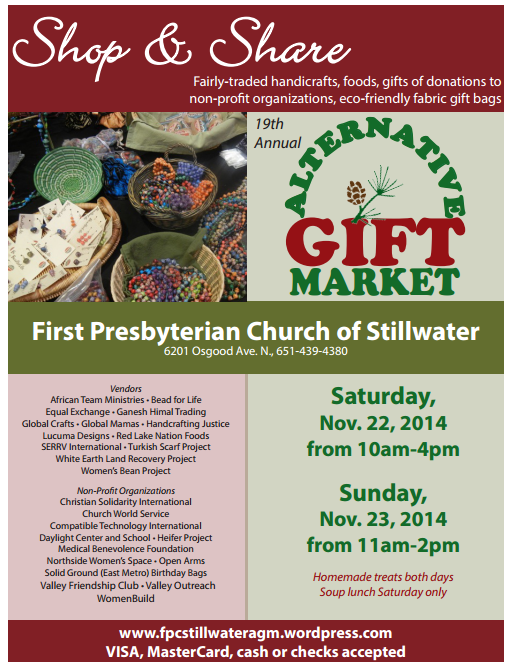 For those of you looking for a fun excuse to visit the beautiful town of Stillwater, Minnesota this weekend please consider stopping by Daylight Partner church First Presbyterian Church of Stillwater for their Annual Alternative Gift Market with Fairly Traded handicrafts, foods, and Daylight has a table where you can make gifts of donations. Stop by the Daylight Table and say hi to Lenny Snellman, and ask him about his trip to Daylight, he just got back! 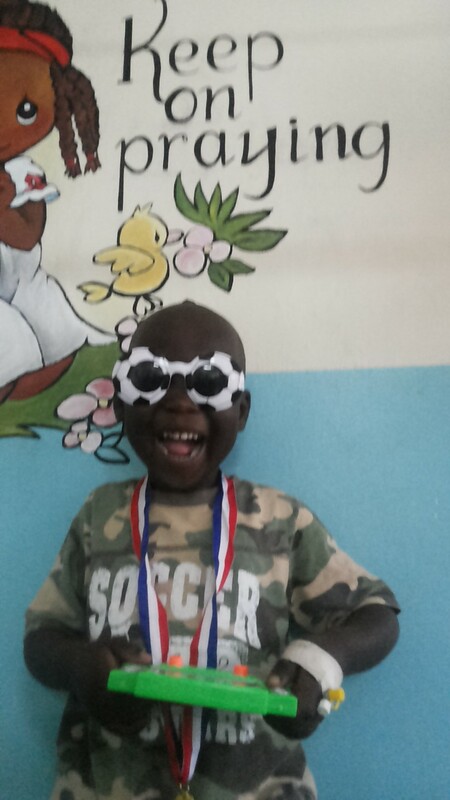 We also wanted to provide an update on the American boy Gavin who was also in the hospital. He too is at home and recovering. Again his family thanks you for your prayers! Daylight partners send our love, our support, and our prayers. And the Kenyans at Daylight do the same. They pray for us everyday. They thank God for us everyday. This week it was especially clear as two boys were hospitalized. One from a Daylight Partner church in Minnesota and the other was Joshua Kimpur. Angelina and Michael’s youngest boy who came down with a fever from Malaria. 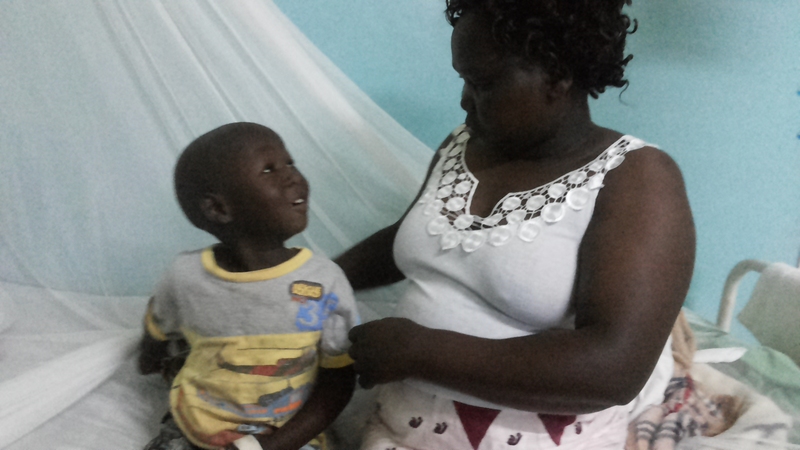 As some of you know, my youngest son Joshua has suffered from childhood with Malaria. He is very susceptible to it. And when he gets Malaria he gets a very serious case of it. 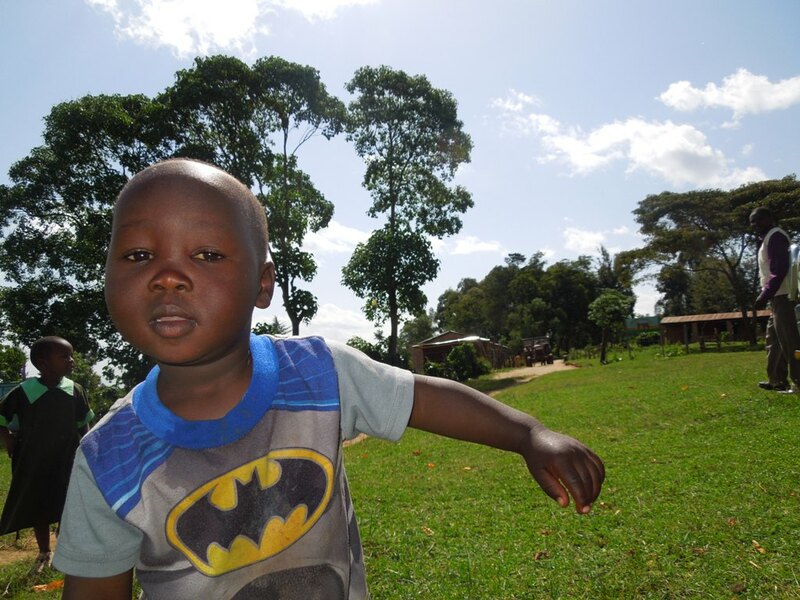 On Sunday, we took him into the hospital in Kitale (the large town 20 miles from our home) and he is currently there. He has a fever and Angelina and I have been by his side praying for him. We ask that you pray for him too. When he was a small boy he went into a coma from Malaria and nearly died. So as you can imagine we are very concerned for him. Please pray. We will keep you posted as his condition changes. Each night in Alale, our team would sit around the fire with some of the villagers and elders. On Thursday, Michael asked everyone to stand and pray for a young boy from a Daylight Partner church Minnesota. The boy had just been hospitalized. There were 21 of us (three Americans and 18 Village Elders), holding hands around the fire. 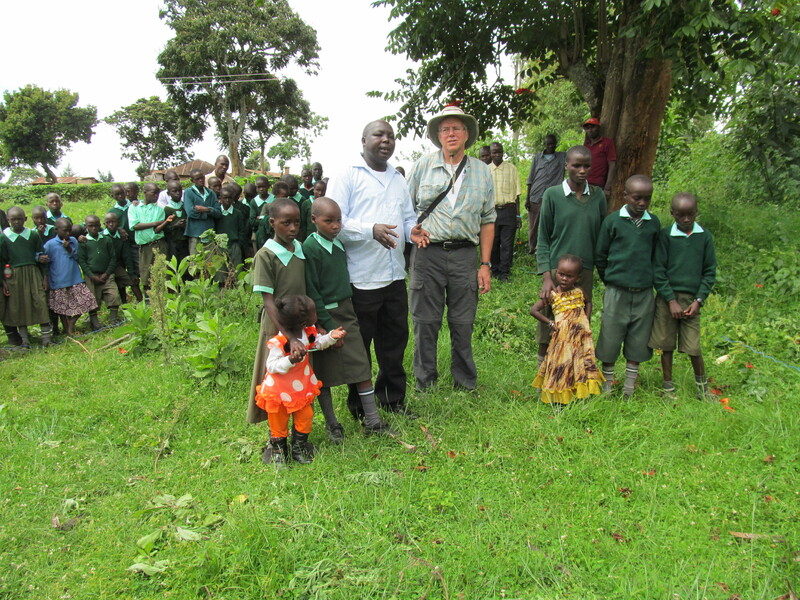 The pastor of the Alale village church prayed for the boy in Swahili and then Michael prayed in English. The next morning, we were involved in a “circle of elders” ceremony with about 40 men. Their goal was to thank us for coming. We sat in the middle of their circle through a very long prayer. After many minutes of prayer in Pokot, one of the elders said (Michael told me later), “you have to pray for that boy that we prayed for last night..” “I don’t know his name,” was the response. Michael reminded them of the boys name. Then the elder started saying the boy’s name and all 40 of the men in the circle repeated it. 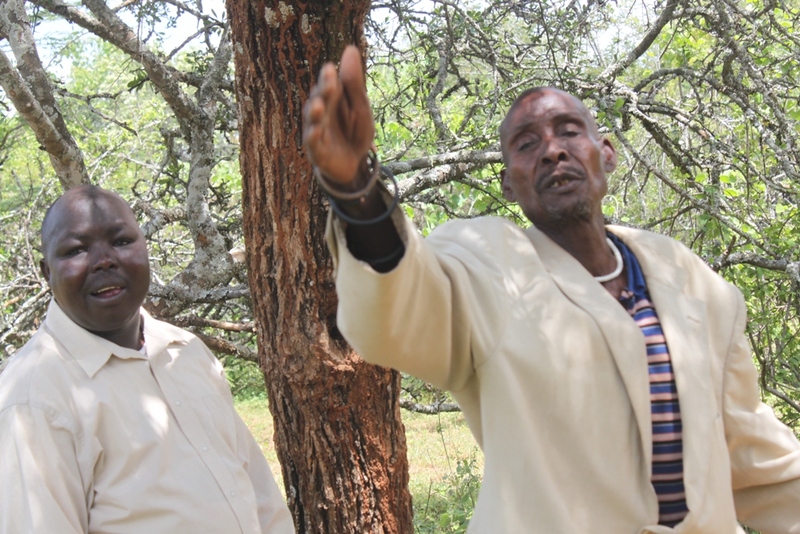 Only about 5 of these 40 men have ever traveled the 90 miles to town in Kapenguria. They have no concept of where we come from, except that it is very far away. But they were all praying for this boy to get better. Please pray for both of these children. That they will get well soon and peace for their families. 2015 Pledge Drive – Make Kids Dreams’ Come True! Children at Daylight are given a chance to make their dreams come true. Going to school allows them to learn to write letters to friends, read a newspaper, grow up and get a job, and even make an informed decision about who to vote for! Your 2015 Pledge makes all this possible! Today at Daylight, we have 280 students in preschool through 7th grade as well as 100 more children at our rural outpost nursery school! In 2015, we expect enrollment to increase to 320 students in preschool through 8th grade in addition to the 100 rural nursery students. In order to provide education, food, shelter, clothing, and health care to these children, our expected budget in 2015 is $137,000. We believe that if we had 100 pledgers of various giving levels, we can reach this goal. Call or email Rachel Finsaas to make a pledge to support Daylight in 2015! All are welcome, RSVP’s appreciated. Thank you so much and we’ll see you there!